French lawyers have come out guns blazing as they protest against a Turkish court’s decision to send eighteen of their colleagues to jail. This comes after eighteen Turkish lawyers were sent to over 159 years in jail on terror charges. Eighteen lawyers from the Association of Progressive Lawyers (CHD) and People’s Law Office (HHB) were on Wednesday sentenced to prison with varying years, ranging from 3 to 18 years. Istanbul’s 37th Criminal Court handed down the sentences on charges of being members or leaders of an outlawed organization called Revolutionary People’s Liberation Party/Front (DHKP-C). Known as a Turkish Marxist-Leninist party, Turkey views DHKP-C as an armed terrorist organization. 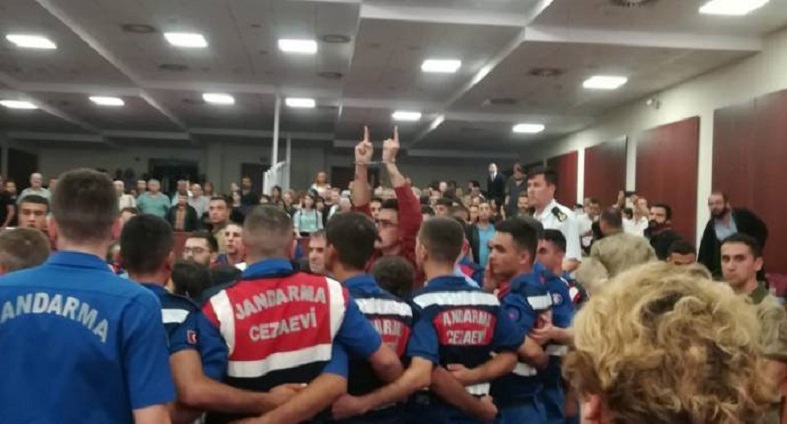 CHD and HHB, left-wing associations, had been suspended with an emergency decree by the Turkish government after the failed coup attempt in 2016. Most lawyers were detained in September 2017, almost one year after the associations’ suspensions.